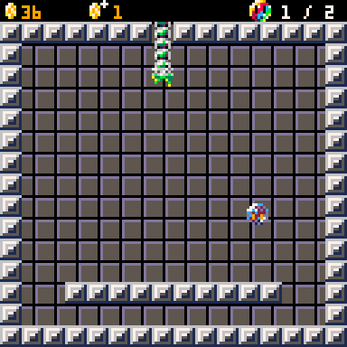 Controls: Use the arrow keys to move the camera in larger areas and navigate the shop. Press Z to open or close the shop. 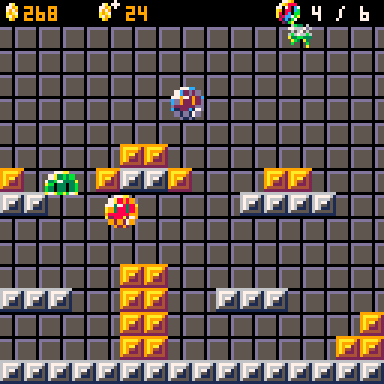 Press X to get coins or buy something in the shop. 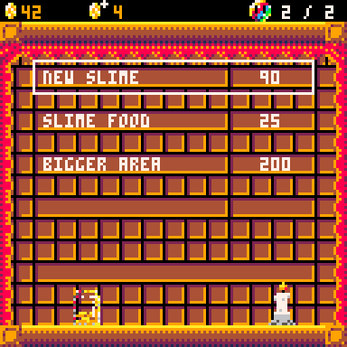 Tips: Coin production increases every time a slime eats. Coin production increases even more if the slime gets bigger after eating. 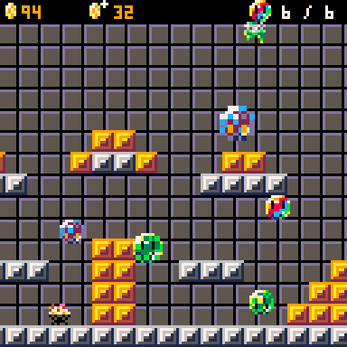 Running Slime_Factory.p8.png requires a PICO-8. If you have a PICO-8, just load and run the Slime_Factory.p8.png cartridge like any other project. Funny watching this little folks jumping around. Well done.